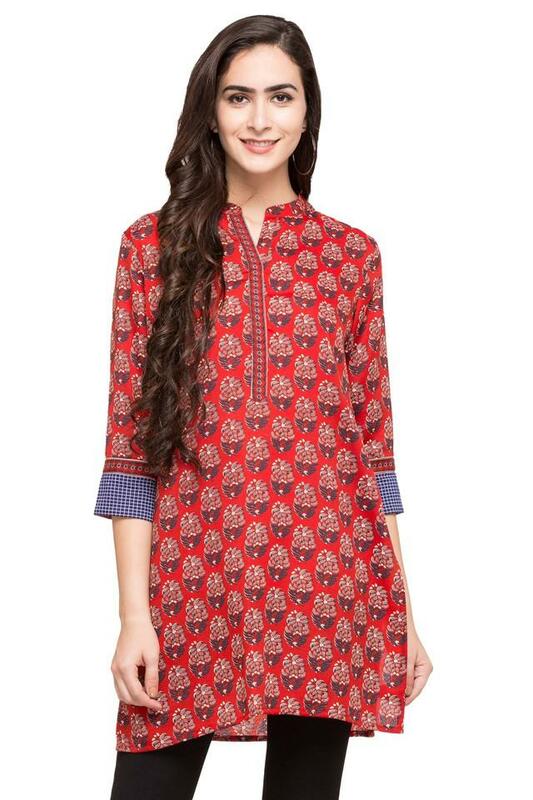 Take your style to the next level by wearing this kurta from Stop. 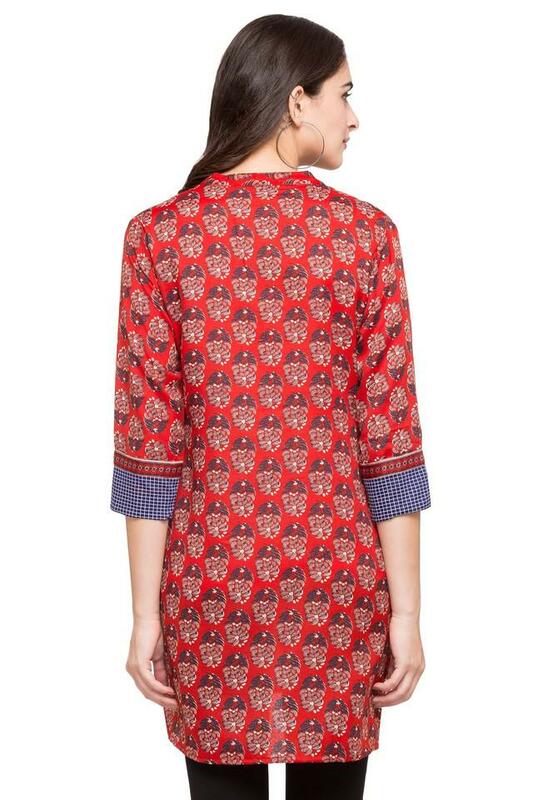 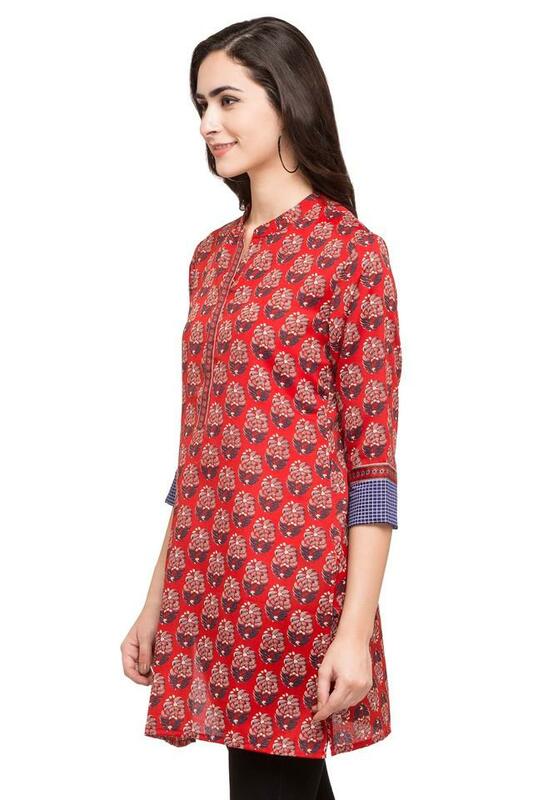 Featuring a print pattern, it also comes with a mandarin neck that will give you a smart look. Besides, it is quite comfortable to wear as it has been crafted from a superior quality fabric. It also has three quarter sleeves that enhance its design. Tailored to perfection, this kurta will be a smart addition to your wardrobe. 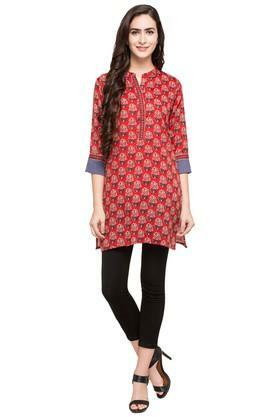 You can team it with a pair of churidar pants and matching accessories for any casual outing with friends or family.